I enjoyed many fine New England brews during my recent trip to Massachusetts, and most of them were supplied by Colonial Spirits. We arrived in Carlisle, MA outside of Boston after a 7-hour drive from Kensington, MD. As soon as we unpacked the van at my in-laws for our President’s Day weekend visit, I was back out the door on the way to the beer store. 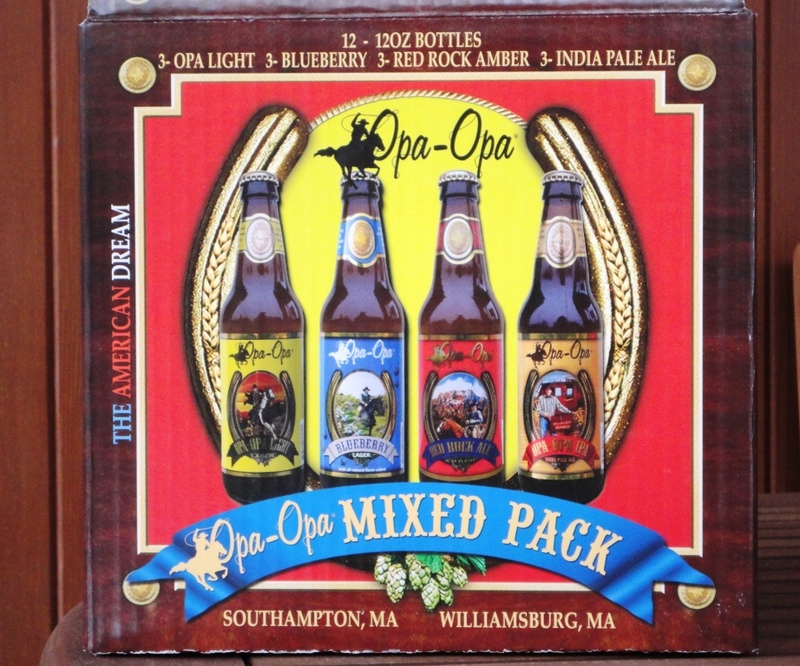 I liked the mix of brews in this 12-pack, and it left me wanting more Opa Opa. I really want to visit the Opa Opa Steakhouse and Brewery in Southampton, MA. It sounds like my kind of place – a family friendly restaurant with a long menu of pub grub and steaks. And did I mention that they brew their own beer on-site? sounds like fun we will have to try it next time.